If your cable company is offering Arris' Moxi Whole Home DVR setup (we've seen it pop up on Shaw, BendBroadband and Wide Open West so far) you should have a few new features headed your way. This week at the NCTA Cable Show 2012 it's debuting Moxi software release 2.0 which adds in a WebKit-based browser, downloadable apps and an appstore the TV provider can customize itself, as well as APIs and SDKs aplenty to bring in third party developers. With the SDK, other companies can pair mobile devices and build in remotes or stream content, while Arris is also showing off its own iPad app (images after the break) for remote DVR scheduling. Unfortunately, we're told these upgrades won't trickle down to owners of Moxi's retail DVRs, but considering how close they came to total deactivation, we're not that surprised. SUWANEE, Ga., May 17, 2012 /PRNewswire/ -- ARRIS Group, Inc. (NASDAQ: ARRS) announces new software for the ARRIS Whole Home Solution. The Moxi software release 2.0 contains an advanced HTML5 WebKit-based browser as well as support for MSO customizable application storefronts and downloadable applications. The release also features an advanced Web Services application programming interface (API) and software development kit (SDK) to facilitate rapid application development on the platform. These key new offerings exemplify the ARRIS commitment to open architectures and providing broadband network operators a flexible platform to accelerate innovation and feature delivery. The Moxi SDK provides tools to create unique branding options within the Moxi User Interface including name, logo, and application placement within the application store. In combination, the Moxi SDK and Moxi Web Services API provide operators and third party developers a rich development environment to create value added applications driving further customization and service differentiation and ultimately stronger customer retention. 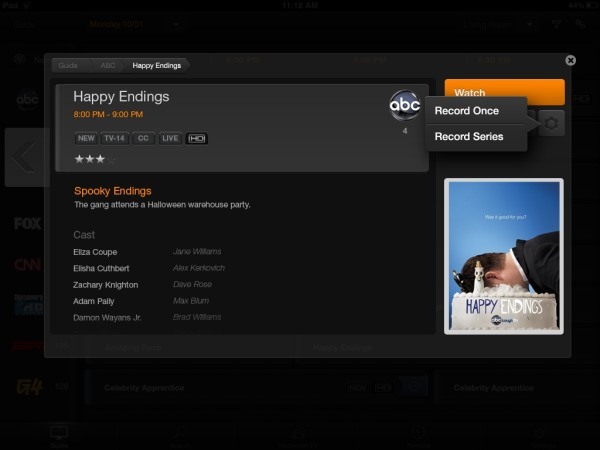 At the upcoming NCTA Cable Show, ARRIS will also showcase a mobile application for the iPad that utilizes the new Moxi SDK and Moxi Web Services API to enable new ways for consumers to interact with the ARRIS Whole Home Solution, including the ability to remotely access and schedule recordings. "We strive to deliver value to our customers and help them deliver an engaging and desirable consumer experience," said Ron Miller, ARRIS Vice President, Moxi Product Management. "Release 2.0 of Moxi, with its integrated browser, application store and toolsets open the platform to expand that experience and present powerful extensions for the solution." The capabilities of current Moxi software have found wide acceptance with early users of the ARRIS Whole Home Solution including Wow!, Shaw, Bend Broadband, and Buckeye Cable. Designed to satisfy the most demanding digital cable entertainment enthusiasts, the Whole Home System is a flexible, easy-to-use platform for consumers to experience a full range of digital entertainment services and to effortlessly discover, experience, and share HD and SD media. The ARRIS Whole Home Solution -- a converged voice, data, and video platform consisting of media and transport gateways, players, operating systems, middleware, and user interfaces, all developed and supported by ARRIS. The ARRIS Media Gateway and Media Player -- state-of-the-art hardware platforms supporting DOCSIS® 3.0, carrier grade PacketCable™ voice, IPv6, and residential gateway functions, including DTCP-IP and DLNA, for integration with ARRIS Moxi video software and other manufacturers' middleware and user interface systems. The ARRIS Moxi video software solutions – middleware, user interface, and cloud services solutions for integration into ARRIS or other manufacturers' hardware. Visit: www.arrisi.com/get/whs/index.asp for more information on the ARRIS Whole Home Solution.